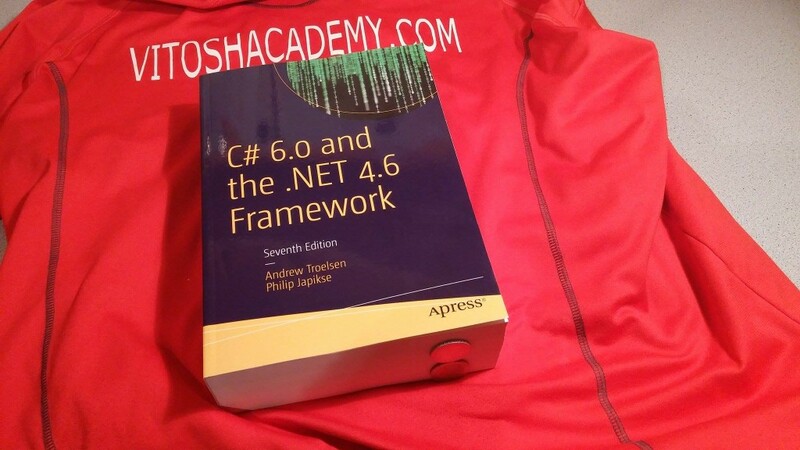 My first impression from seeing the C# 6.0 book delivered at home was like – lol, someone has written 1600+ pages on C# – interesting what is inside? After opening the book, I have noticed two things – this is the 7th edition of the book and the it was divided nicely into meaningful chapters. As far as my goal for reading the book was to obtain enough knowledge (and mainly to structure it well) for the 70-438 Microsoft exam I have decided to read the first 13 chapters (up to part 5) really carefully, as far as anything they cover is in that exam. Now that you have seen the syntax used to declare implicitly typed local variables, I am sure you are wondering when to make use of this construct. First, using var to declare local variables simply for the sake of doing so brings little to the table. Doing so can be confusing to others reading your code because it becomes harder to quickly determine the underlying data type and, therefore, more difficult to understand the overall functionality of the variable. So, if you know you need an int, declare an int! This type of sentence I have read in almost any it book – explaining why we should not use var for anything. But still, it simply shows the style of the book very well – the authors care to explain every single detail. And I like it. Great full code, available online, even without buying the book. But the book is worthy! Explanations, written in simple language. Good cover of the C# basis – was one of the books that I have used for the 70-438 exam. That’s the 7th edition of the book. That’s enough said. Visit my Amazon.com profile to give me a thumb up if you liked the review! 🙂 If you did not like it, I am pretty sure that you would give the thumb down without reminding.